Showpin and rider Samantha Wynne beat Our Teddy Boy and Chris Johnson in the Publican’s Cup at Wingatui. Photo: Jonny Turner. 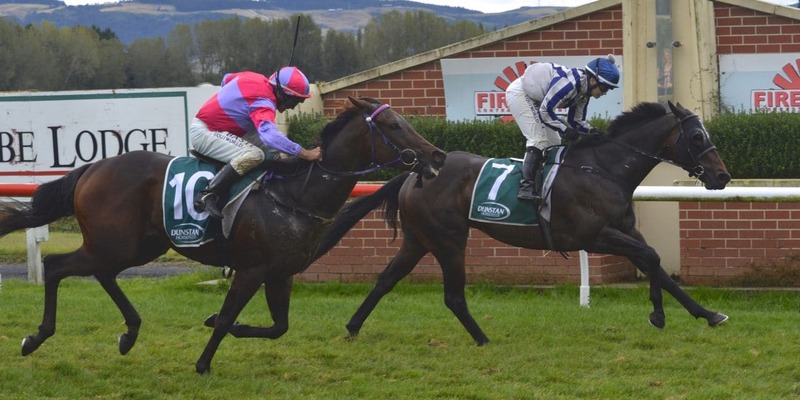 Southern jockey Samantha Wynne has quickly returned to the winners’ circle, guiding Diorissimo to victory at Riccarton on Saturday and following it up with Showpin in today’s $25,000 Publican’s Cup at Wingatui. The Irish-born rider had spent months on the sidelines after injuring her knee at Wingatui last May and undergoing surgery on her anterior cruciate ligament. Wynne, who resumed riding earlier this month, was ecstatic to get off the mark and said she had missed riding on race day.